Fresh off her critically acclaimed fourth album, Puberty 2, art pop connoisseur Mitski returns with her fifth full-length, Be The Cowboy, her second release on the Dead Oceans label. 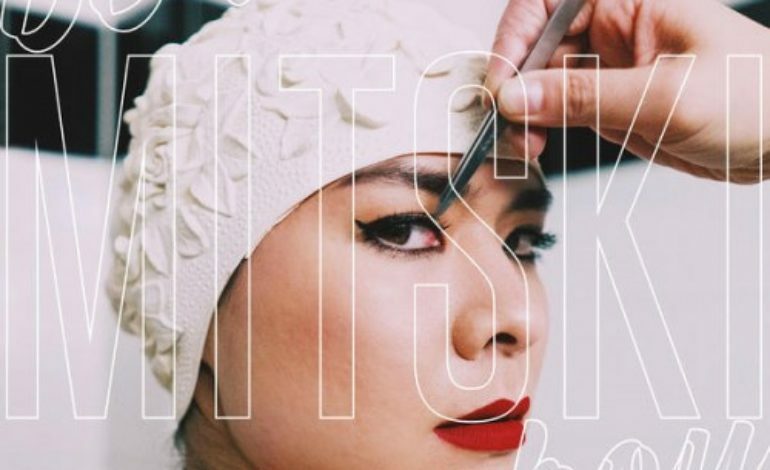 Quite different from her previous work, Mitski’s new record represents a stylistic shift from the thicker, thumping song structures found on her past releases, and even moves about freely within its fourteen tracks. A new undertaking for the 27-year old Japanese-American singer-songwriter, Be The Cowboy is certainly a shift from the momentum that brought her so much acclaim in 2016. Really the only common thread to be found on this record, a record which slaloms between alienation-themed disco-pop (“Nobody”) and synth-heavy balladry (“Old Friend,” “Two Slow Dancers”), is Mitski’s cunning ability to work up an atmosphere through her lyrics and powerful voice. Though her past releases did reflect a similarly powerful lyrical style, this new record certainly presents lyrics as a central character. In other words, the album’s instrumentation is so wide-reaching (and slightly inconsistent) that listeners may find themselves latching onto the songs’ lyrics, all of which deal with themes of isolation and a search for belonging. And the lyrics are more than clever. From the clever self-pleasuring bridge of “Lonesome Love,” to the metaphor-rich “Washing Machine Heart,” Be The Cowboy is a refreshing dose of art pop that centers on mercurial language capable of inciting laughs and tears alike. As evidenced from the three singles from this record, the fourteen tracks on Be The Cowboy signal a heightened sense of maturity for the singer-songwriter. Just one look at the lyric sheet, and it’s obvious that Mitski’s sound has grown to reflect an increasing sense of isolation and loneliness—perhaps brought on by consistent world tours. “Geyser,” the album’s first single (and opening track), is instantly steeped in synths and catharsis. Don’t be put off by the glitch about thirty seconds in, as the remaining two minutes of the track conjures images of a soaring takeoff, an apt beginning to a powerfully concise album. Second single “Nobody” immediately juxtaposes scenes of social longing with a vibrant rhythm section, before descending into a feel-good space disco jam. Although the lyrical content is deeply moving and deals with isolation, among other themes, the track’s instrumentation pushes the listener to at least tap their foot to the infectious beat. Third single and closing track “Two Slow Dancers” is a perfect conclusion to a moving record: the song seamlessly punctuates the themes of isolation previously explored on the album but paired with a minimal ballad style. “To think that we could stay the same / We’re two slow dancers, last ones out,” sings Mitski before atmospheric synths create a moving conclusion to a remarkably clever record. Bookended and held together by these well-thought-out singles, the remaining tracks of Be The Cowboy are filled in with various styles and genres, but the bulk of the album is moody, moving and methodical. Fans of Mitski’s past work might have to endure a slight adjustment to the new sound, but the rewards certainly pay off. As established as she is with five full-length albums to her name, Mitski is merely getting started.